The artifacts serving Standard 3.5 are web tools that I used in coaching and modeling tasks for our building level staff development. 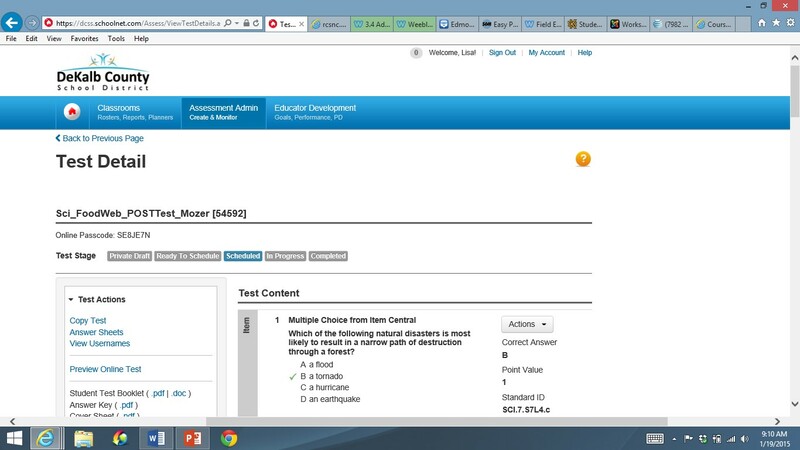 A coaching assignment was required for ITEC 7460; I submitted my completed project fall 2014. At my request, teachers at my school volunteered to participate in group and one-on-one collaborative training sessions. The sessions were one to two times per week, for three to four weeks. 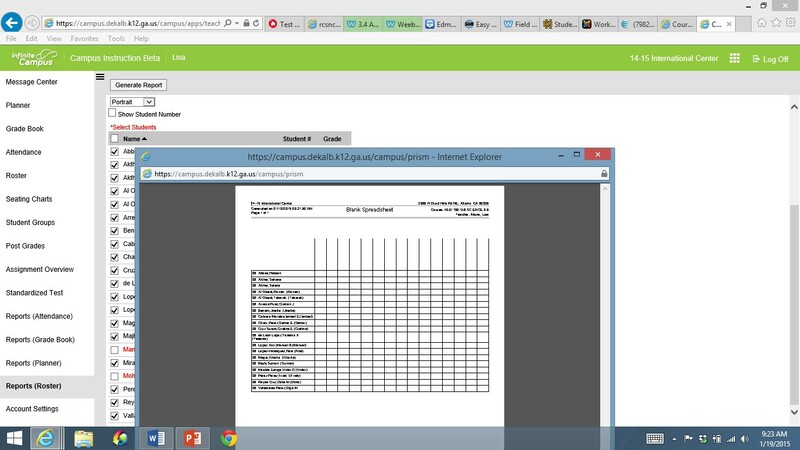 The training targeted use of interface management software (IMS) for SchoolNet and Infinite Campus. The training included critical instruction objectives such as tracking student attendance, class schedules, and posting grades, along with applying tools for constructing class level online content assessments, pre/post data collection, and billboard summary data presentations. Assembling online student assessments at the class level per-teacher instruction was a specific request by the participating teachers. The participants also gained skills in making data reports to use as evaluative tools of student content learning. My work on this project supported building level improvement goals, such as increasing technology integration in classroom instruction and increasing data evaluations for instructional interventions. This project coincided with the implementation of the Infinite Campus program. Small group instruction was needed to ensure that the introduction to the IMS applications were adequate for all technical skill levels. The SchoolNet program was adopted county-wide several years ago, however teachers required staff development to use applications for constructing class level online academic assessments. After teachers began implementing new applications, they experienced some technical problems, such as not being able to register a new student, unable to import shared student data, or experienced lost data. I was able to resolve some problems immediately, and at other times I scheduled follow-up meetings after school or during shared planning periods. I provided remedies for connectivity issues and was able to troubleshoot problems, such as sharing class files, making printable documents, and selecting feasible options for report forms. When necessary, I called into the help-line for county technical support. Repetition and reminders of procedures resolved the majority of technical set-backs. Teachers became comfortable using the online applications after a few weeks of practice. In the future, it will be helpful to have video recordings of software training sessions; video archiving was not done for this project. Written step-by-step instructions proved to be helpful and comments regarding the effectiveness of the training were positive. The varying skill levels can be better addressed with the addition of video recordings for follow-up instructions. In the future, I plan to provide an online follow-up training session similar to this project. To maintain a collaborative learning culture, I initiated a technology agenda for my department, and the agenda will be formed by peer input to ensure ongoing training and collaborative learning. This project established familiarity with small group staff development within my content department. Participating teachers expressed their appreciation for specific training that aligned to their classroom uses.